A Nirvana fan from Portland, Oregon is looking to purchase Kurt Cobain's childhood home through crowdfunding and turn it into a museum. 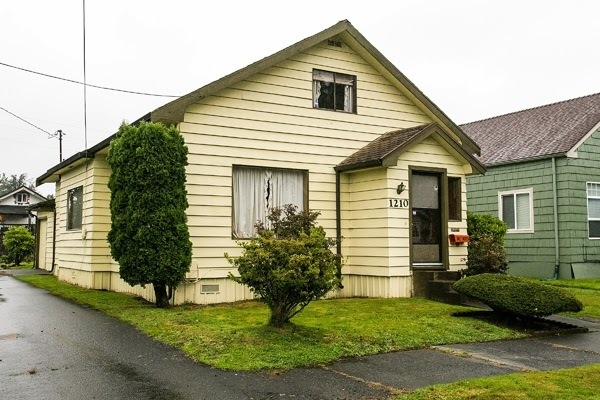 The grunge icon's mother listed the 1.5-story Aberdeen, Washington house last fall, according to Spin, for $500,000 – despite a valuation of less than $67,000 – so journalist Jaime Dunkle has launched a campaign on GoFundMe.com to raise $700,000 to purchase the home and for curatorial costs. The campaign has been live for 17 days as of Thursday and has raised $135 so far. "We're making sure this house is memorialized by us fans so it doesn't end up in the clutches of capitalist greed," Dunkle wrote in her listing. "This museum will reflect the anti-commercialism spirit of Nirvana." Rewards for donating to Dunkle's push include a one-year membership to the museum for $15, five years' membership for $50, a DIY shirt with Cobain quotes handmade by Dunkle for $100 and tickets to a sold-out Die Antwoord concert for $300. The highest pledge price, $1,000, earns the investor a lifetime membership to the museum, a T-shirt and a sleepover (presumably at Cobain's house) after construction. The push to turn Cobain's home into a museum follows several other events this year honoring the Nirvana frontman. Two Washington towns have planned days honoring Cobain's legacy: Hoquiam, located four miles outside of Aberdeen, has planned a Nirvana Day for April 10th – the day the group is inducted into the Rock and Roll Hall of Fame – but Aberdeen beat it to the punch, holding Kurt Cobain Day on February 20th, the singer-guitarist's birthday.